12 days AyurBalance Indian Ayurvedic Massage Teacher Training Course (200 hrs) is continuation of the AyurBalance 12 days Massage Therapist Training Course (100 hrs) and it goes further into advanced learning, knowledge of Ayurvedic Oils and their use, Prakruti & Vikruti Concept of Ayurveda, Ayurvedic psychosomatic science and more. Rasovai Ayurveda & Yoga Massage training Goa is a center started by experienced and passionate founders that have conducted courses and workshops all over the world. They provide hands-on training in Indian Ayurvedic massage, Ayur Balance Massage, Ayurveda & Yoga Massage, Abhyanga, Marma massage and Shirodhara and Yoga anatomy training. The 200 hours course conducted in the North of Goa in a clean and silent environment. 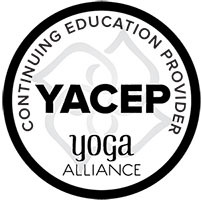 This course provides Ayurveda training that will give you the expertise in deep tissue, myofascial release, core balancing in Ayurvedic bodywork & massage. At Rasovai Goa each Ayurvedic massage course is aimed to give you the knowledge and expertise to start practicing professionally immediately after the successful completion of the training. Rasovai Ayurvedic Massage and Meditation Training Center Goa is located near Ashwem Beach in the North of Goa. This center is the brainchild of Chetan Baghel and Doctor Urja Anita, together they have more than 25 years of international working experience. 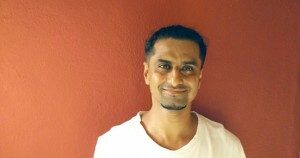 Chetan is the lead teacher of Ayur Balance Massage, Yoga Anatomy & Meditation TTC, he has graduated in Science, Masters degree in Reiki, Diploma in Ayurveda Massage, Diploma in Abhyanga and Marma Massage, Diploma in Ayurveda Yoga Massage, Studies in Anatomy- Physiology, Psychosomatic Conditions, studied and practiced Meditation and Healing. Dr. Urja is a doctor of Ayurveda and teacher at Rasovai, she has a doctors degree in Ayurveda, Diploma in Ayurveda Dietetics, Diploma in Ayurveda Yoga massage, Abhyanga Massage, Marma Massage, Bio-Energetics Works, deep tissue works and Reiki masters degree. They conduct 12-day Massage Therapist Training Course (100 hrs Training) of Ayurbalance Ayurveda bodywork, 200 hours Advance training of Ayurbalance Ayurveda bodywork, Ayurveda Yoga Massage Training, 7-day Abhyanga, Marma massage and Shirodhara Course and 100 Hours Sammyak Meditation Teacher Training. These trainings are conducted at Wellness Inn, Ashvem – North Goa. The location also includes rooms and meals for the participants of the programs. The trainings are conducted at Wellness Inn, Ashvem – North Goa. Wellness inn is a boutique hotel, having twelve rooms four family rooms, one cottage, six standard rooms and one dormitory room. 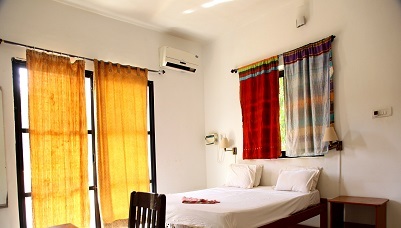 All rooms have attached bathrooms, air conditioner and hot water through solar heater. Wellness in also has one Yogashala and a meditation area to conduct workshops and trainings. They offer a variety of healthy and tasty vegetarian food in their menu. Their Ideology is to keep things simple and eco-friendly hence they use natural energy resources like solar for power, wood and bamboo for construction work and recycle as much as possible. Wellness Inn provides rooms and meals for the participants of the programs. Goa International Airport (GOI), also known as the Dabolim airport would be the closest most convenient airport. 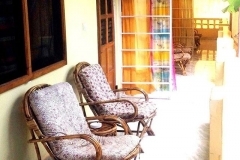 Rasovai Massage And Meditation Training Center is 56 kms from the airport near Arambol Beach. Goa, Madgaon (MAO) railway station is the most convenient railway station. Rasovai Massage And Meditation Training Center is 65 kms from the railway station. 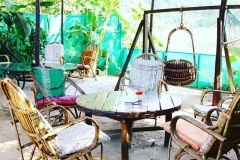 Rasovai Massage And Meditation Training Center located Near Ashwem Beach in the North of Goa. Popular bus station in the north is Arambol. In case a student is unable to make it to the course after payment they can use the payment made for a future course or program at Rasovai Goa, India within 2 years from the time of booking. Booking fee is the part of the whole course fee. It can not be used as payment towards any other Rasovai School course nor may it be used on behalf of another participant applying for the same course. In case if you are entirely sure of not being able to join the course in future then we can make a refund after a deduction of 40% of the payment made (covering expenses, service charge, international transfer charges, and currency conversions if applicable). NO REFUNDS, CREDITS OR TRANSFERS ARE AVAILABLE ON CANCELLATION PRIOR TO (Just Before), DURING OR AFTER THE START DATE OF ANY TRAINING/Workshop or any other short-term or long courses at Rasovai. In all cases and situations, students and applicants must intimate us on time. The final decision would be from “Rasovai”. In the unlikely event or rare situations of Death, Accident or other unexpected events compelling a retreat or workshop at Rasovai Goa, India be canceled, we will refund 100% of your payment after deductions in the form of nominal bank charges or offer an alternative course. Rasovai Goa, India is not to be held liable for flight costs. 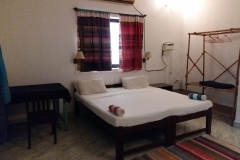 The standard rooms are spacious & airy, all rooms have Balcony, Clean attached Toilets, air-conditioning, attention to small detail, such as bedside lamps for reading, proper electrical outlets, ceiling fans & Study Table, makes this room perfect for the stay.